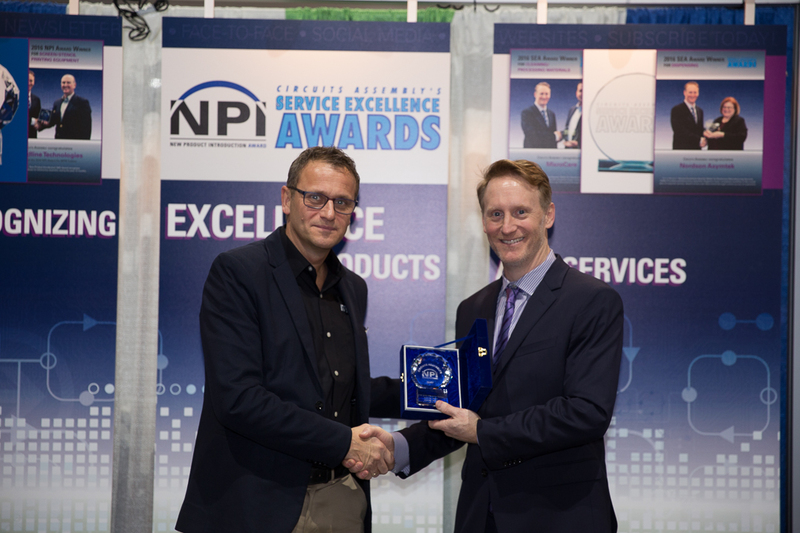 Oosterhout, The Netherlands, February 21, 2017 – ITW EAE’s Vitronics Soltec was honored with a New Product Introduction award during the IPC APEX Expo at the San Diego Convention Center. The award, presented by Circuits Assembly and Printed Circuit Design and Fab, was in recognition of the CATHOX™ Catalytic Thermal Oxidizer used in the Centurion Reflow Soldering System. An independent panel of practicing industry engineers selected the recipients for this 10th annual award for electronics assembly equipment, materials, software, and PCB fabrication. Minneapolis, Minnesota, USA, January 24, 2017 – MPM printers have a reputation for being fast, precise, and highly reliable, with performance unmatched by any other printer in their class. The New MPM 100 brings the quality and performance expected from MPM at a reduced price. Minneapolis, Minnesota, USA, January 10, 2017 – ITW has integrated three of its businesses; Speedline Technologies, Vitronics Soltec and Despatch Industries. This new division consolidates all of its Electronic Assembly Equipment and Thermal Processing Technology business and will operate under the name ITW EAE. 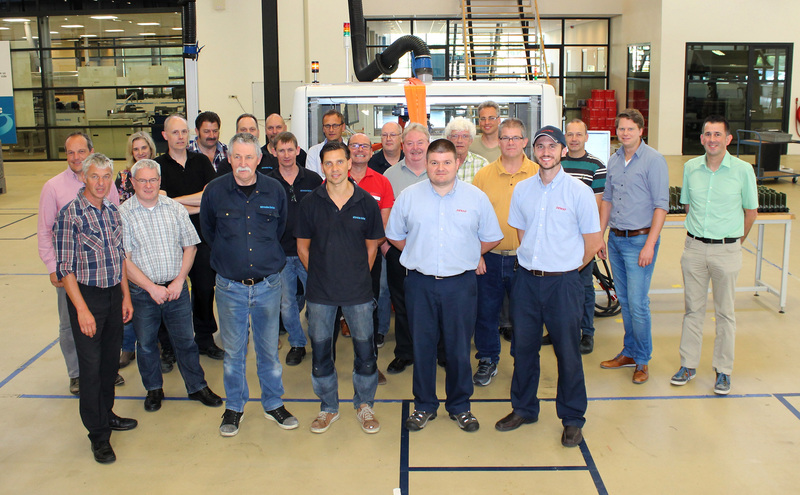 Oosterhout, The Netherlands, July 19, 2016— After more than 15 years of successfully serving customers, Vitronics Soltec shipped the last mySelective 6748 soldering machine. During its active lifespan, the 6748 machine excelled in durability and process capabilities. Oosterhout, The Netherlands, May 31, 2016 - Vitronics Soltec celebrates 100 years of innovation and service to the soldering and printed circuit board industry. 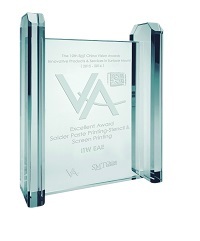 Oosterhout, The Netherlands, May 10, 2016 – ITW EAE’s Vitronics Soltec received recognition for the SMTA China Best Exhibit Technology which featured the new Centurion reflow oven. This award recognizes NEPCON exhibitors who display outstanding equipment. Vitronics Soltec was also honored by SMTA for the most Outstanding Paper of the TC1 Technology Conference. ITW EAE’s recently-introduced MPM® Edison Printer earned a coveted VA Excellent Award from the SMT China Vision Awards at the recent NEPCON China exposition and conference in Shanghai. Speedline MPMs’ new Edison printer received the 2016 New Product Introduction (NPI) award in the stencil/screen printing equipment category . Camdenton, Missouri, USA, March 8, 2016 – The Electronic Assembly Equipment division of ITW announces that Coco Zhang has joined the company as Global Product Manager for Reflow Soldering Solutions. Coco will be responsible for the strategic direction and financial performance of Vitronics Soltec’s reflow soldering product line. Coming off a highly successful global launch at Productronica in November, the MPM Edison printing system makes its North American debut at this year's Apex show.